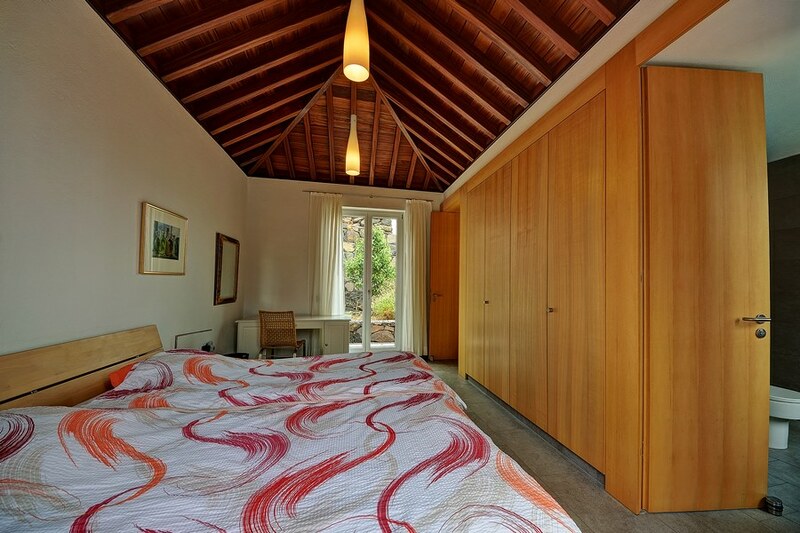 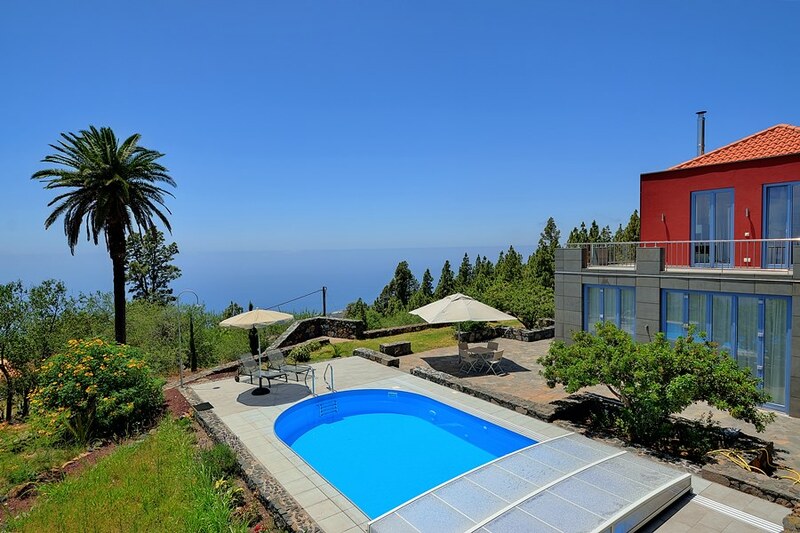 In the quiet and beautiful Tijarafe lies this modern holiday home for 6 with heated pool. 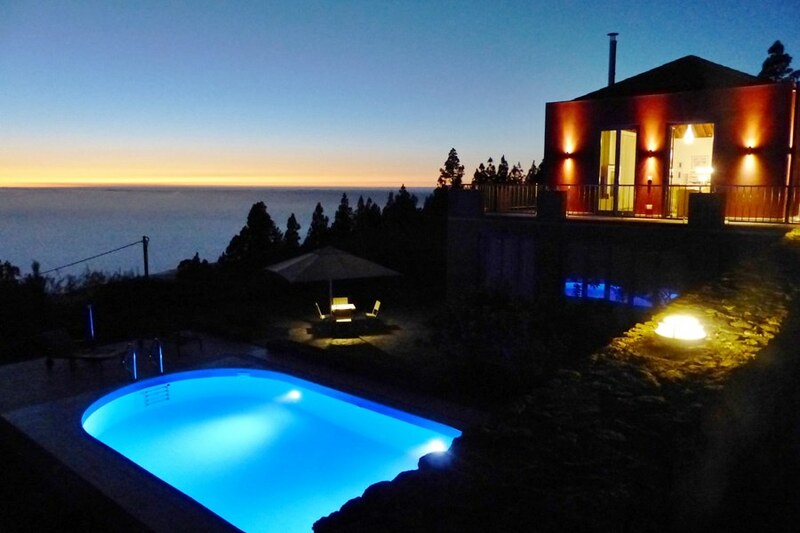 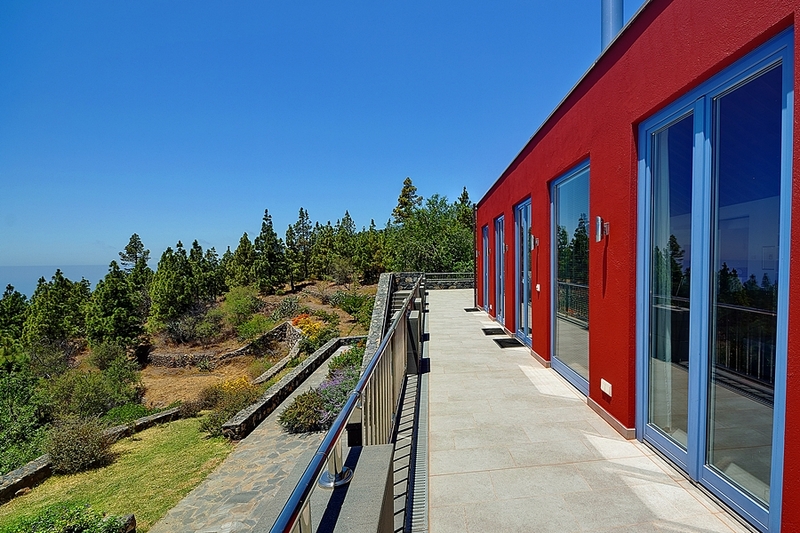 The beautiful villa Atlántico is situated at an altitude of 800 meters and a plot of 4,000 m². 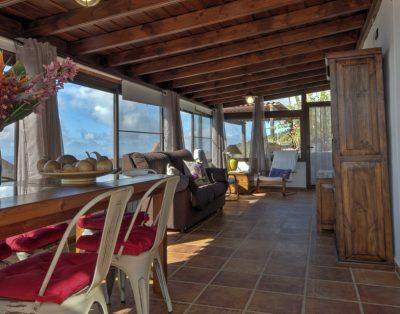 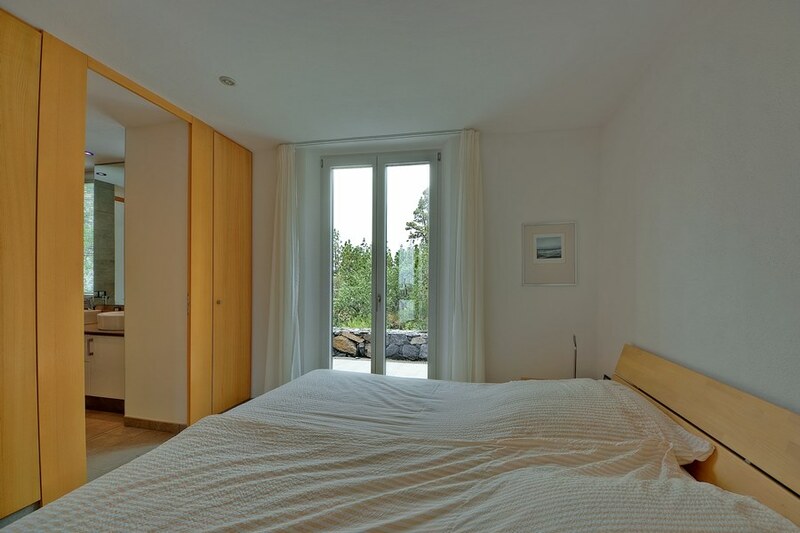 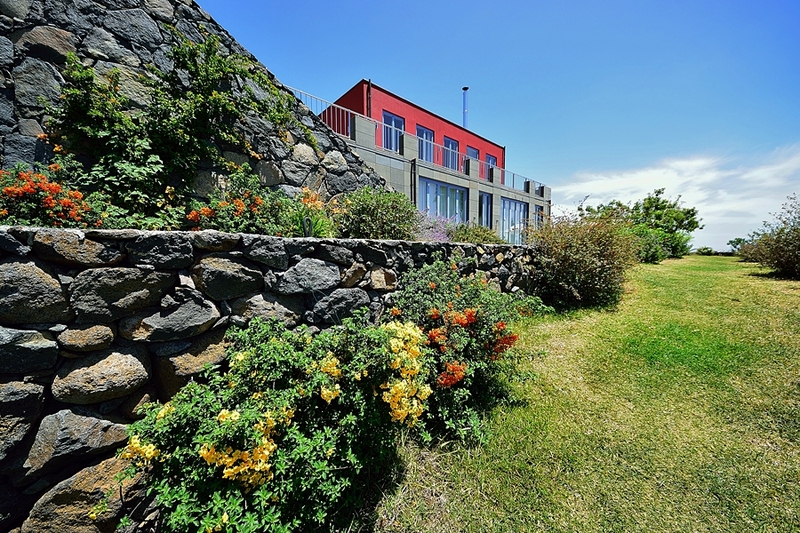 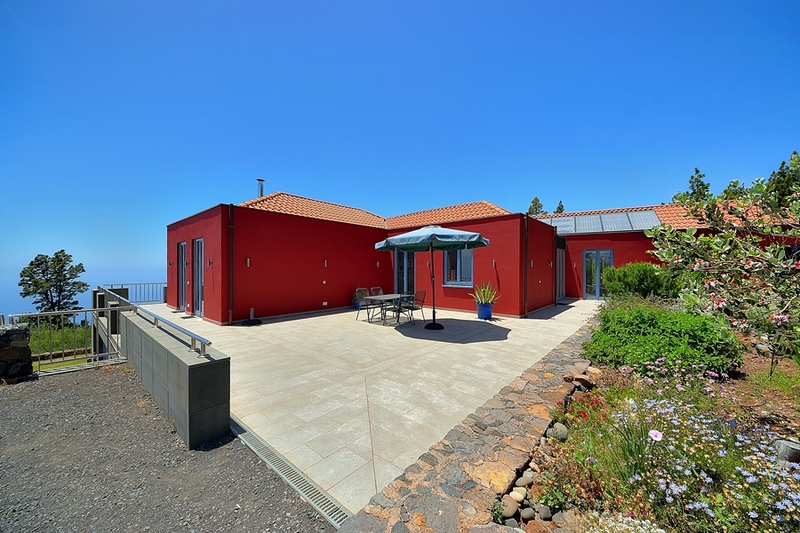 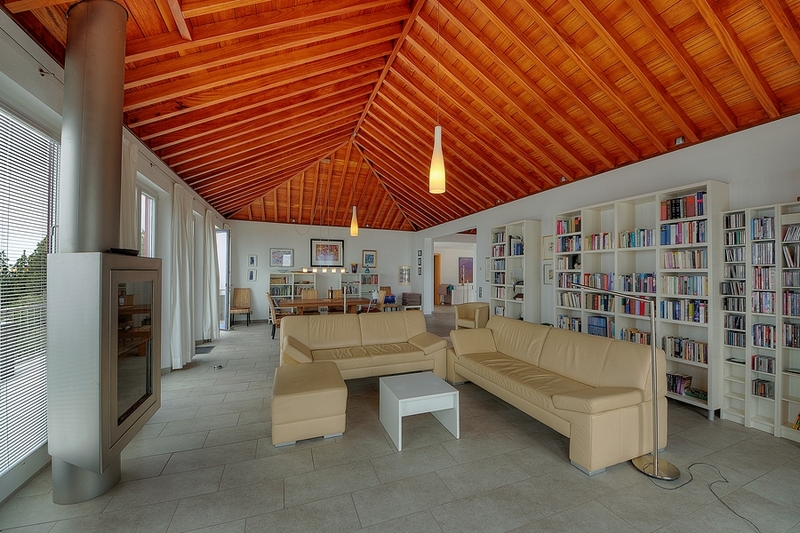 This modern villa of 180 m², with Canary wooden roofs and large windows with views of the Atlantic Ocean, consists of a large living room with fireplace, a spacious well-appointed kitchen, a guest toilet, 3 bedrooms, 2 bathrooms and a heated pool that can be covered so that the heat is not lost. 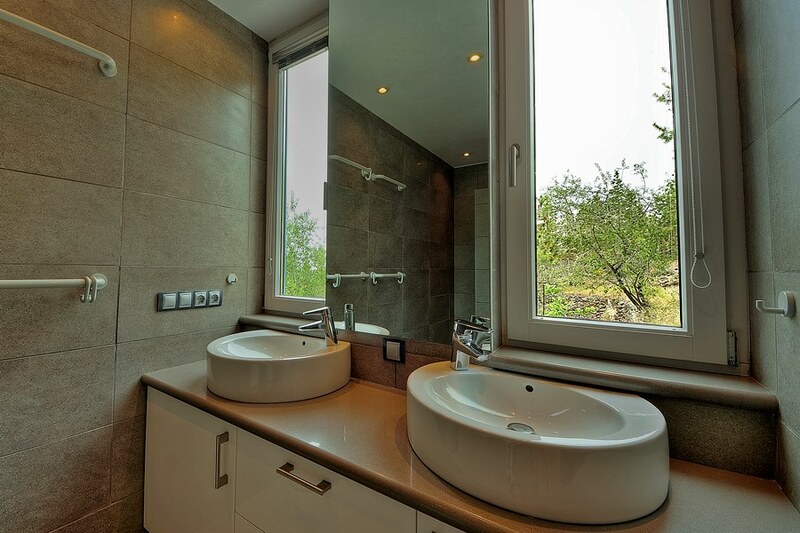 In the basement there is a washing machine and dryer at your disposal. 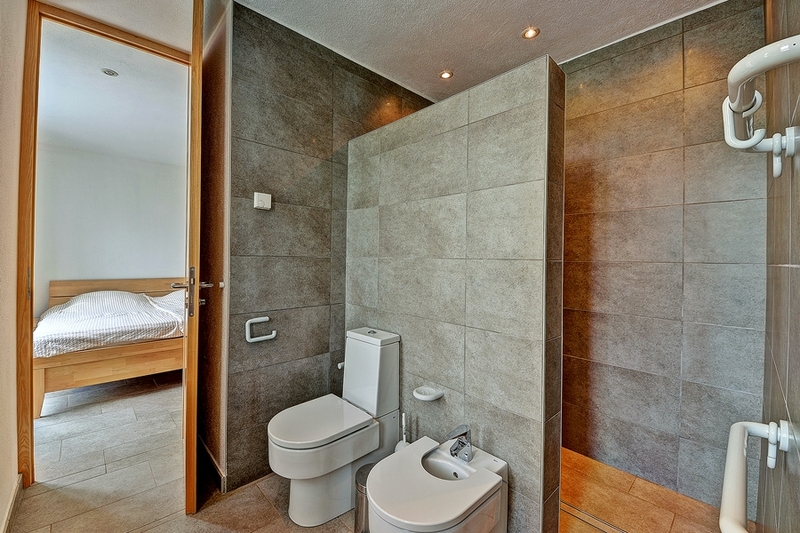 All three bedrooms have double beds (200×200), and the bathrooms have a large shower, a toilet, a bidet and double sinks. 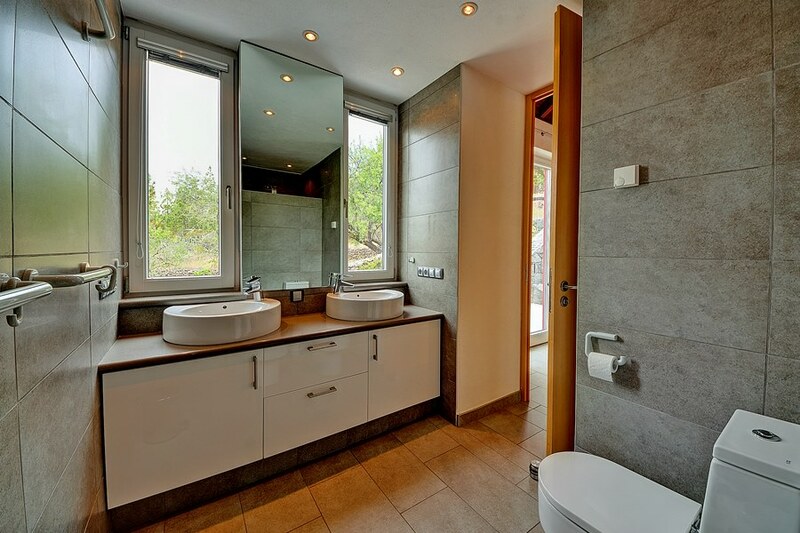 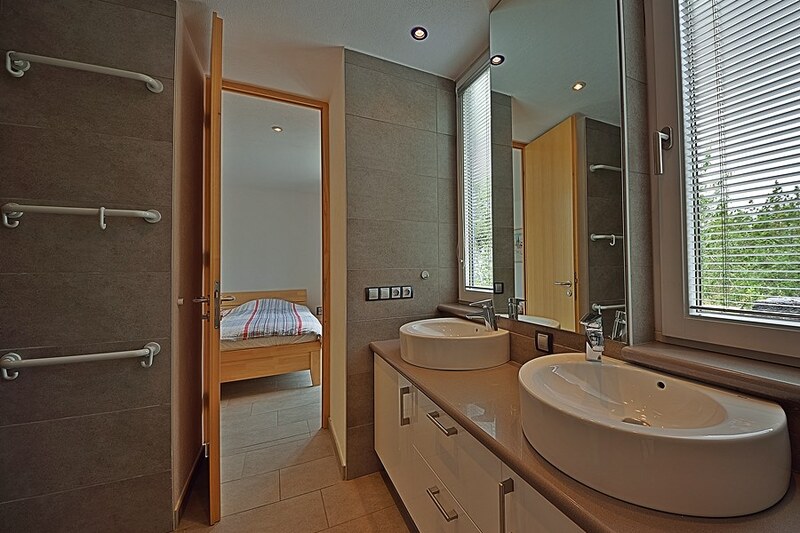 There is one bathroom for 2 bedrooms and another bathroom just for the 3rd bedroom. 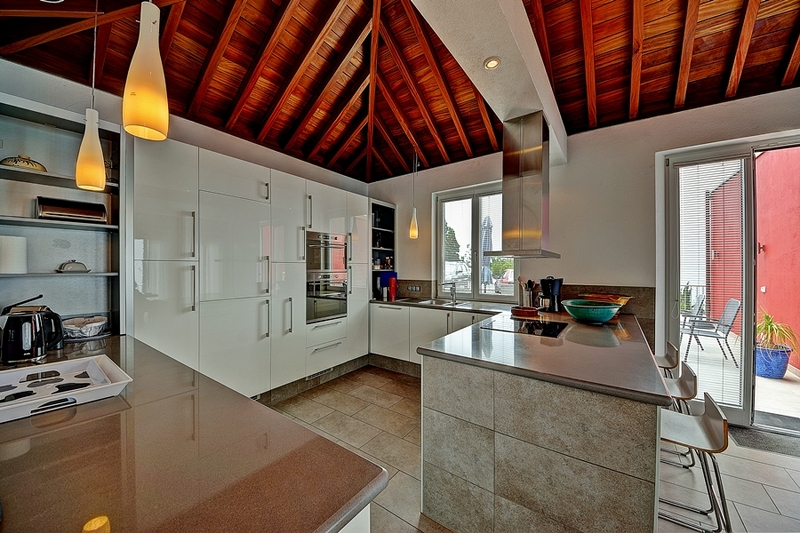 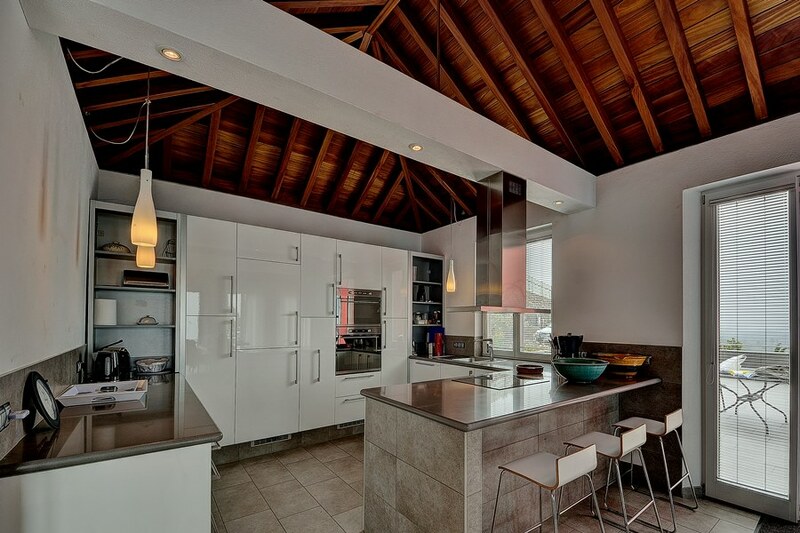 The kitchen has a dishwasher, plenty storage space and a breakfast bar. 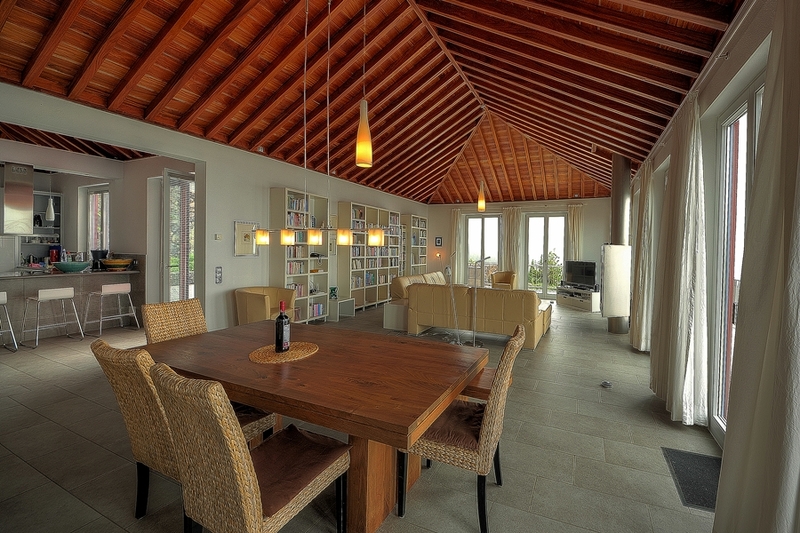 Between the kitchen and the living room is a large dining table that seats 8 people. 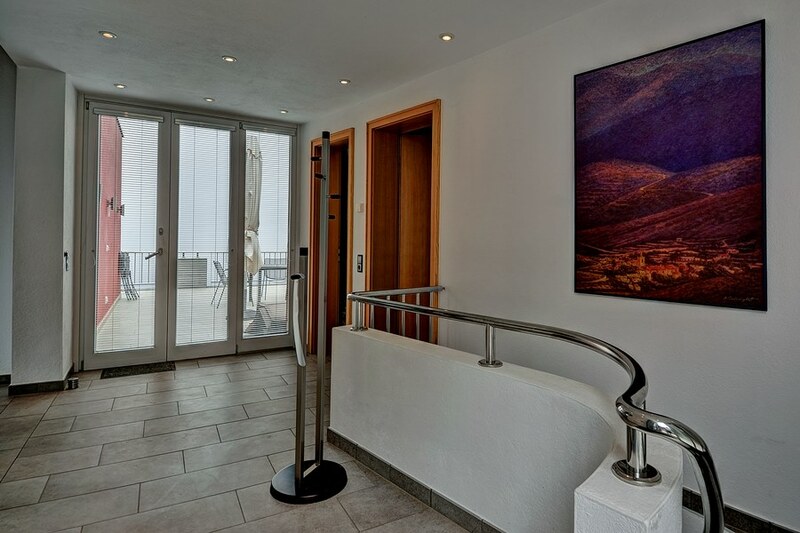 From the living room through you access onto a terrace facing south and a terrace with views to the west. 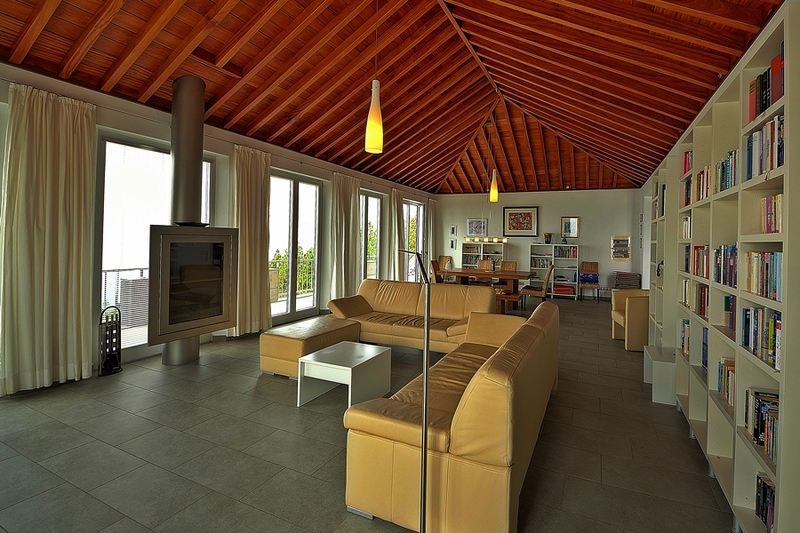 The living room has a beautiful rotatable modern fireplace and there is underfloor heating throughout the house. 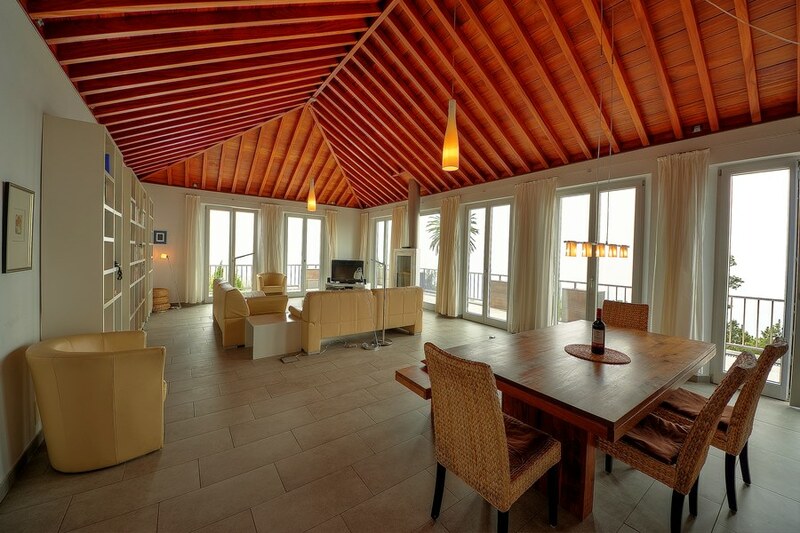 ADSL and telephone is present in the house. 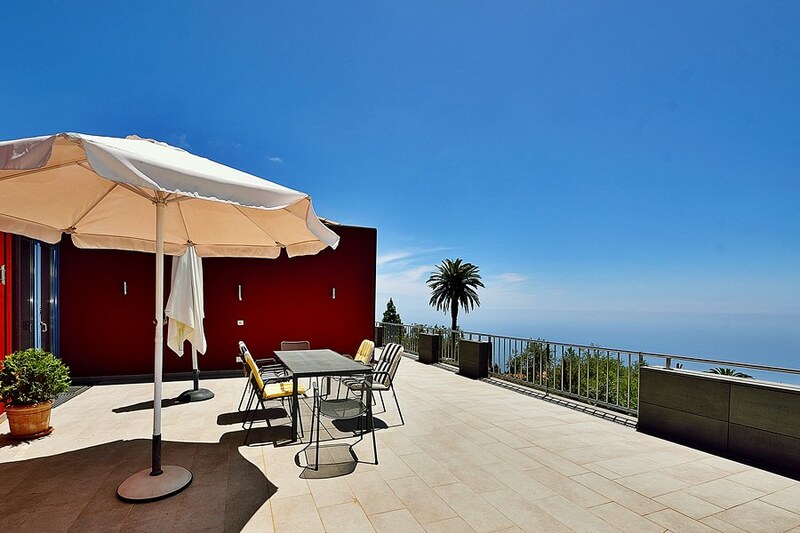 Around the villa there are several terraces (120 m²) and a subtropical garden to enjoy the stunning views. 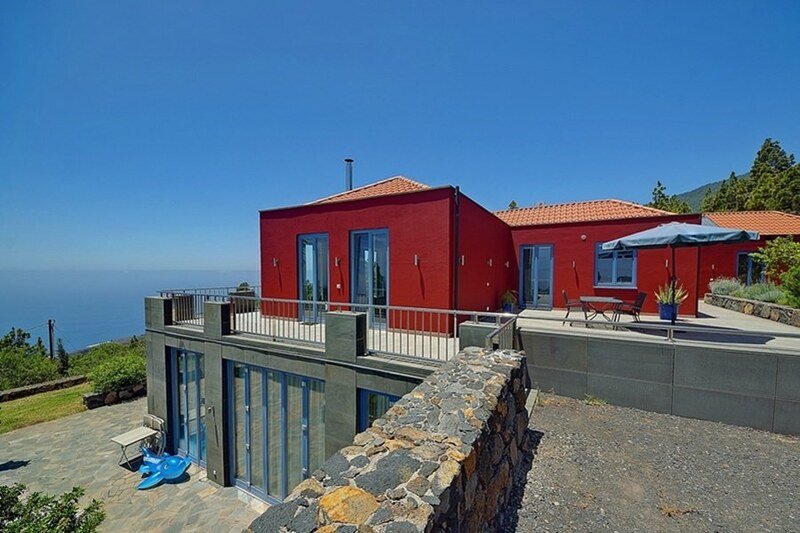 Through a staircase you reach the lower terrace with heated and coverable pool of 8,4×4,2 m.
The sauna in our villa Atlantico is finished and can be used by the guests of this villa. 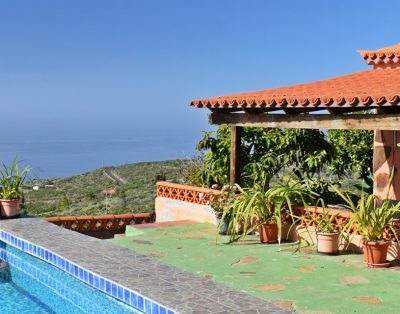 Villa Atlántico lies at the end of a dead end road and offers sufficient parking for several rental cars. 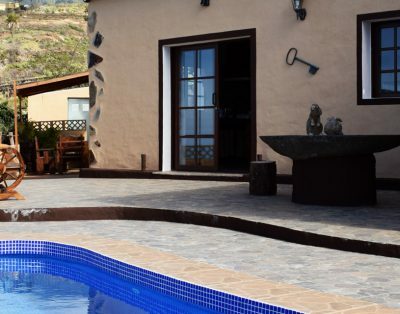 Supermarket, bars, restaurants, a bank and a pharmacy are located in the village of Tijarafe, 10 minutes away. 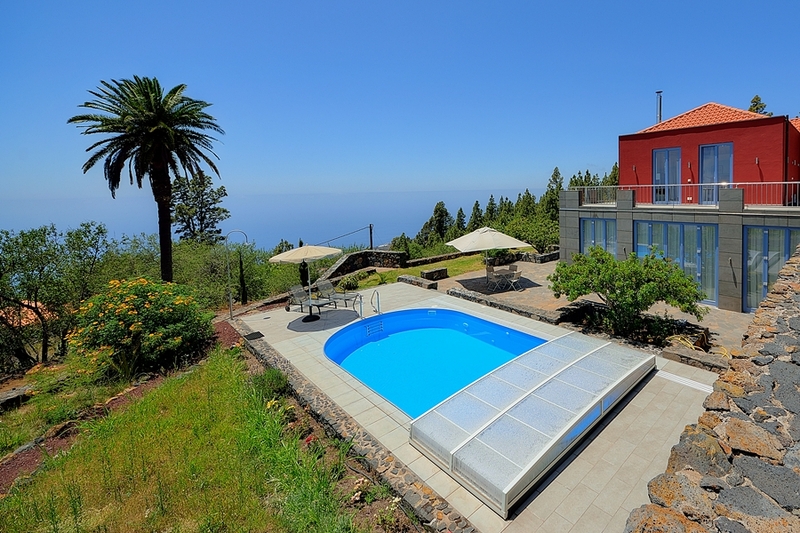 The nearest beach is that of Tazacorte, about 20 minutes away. 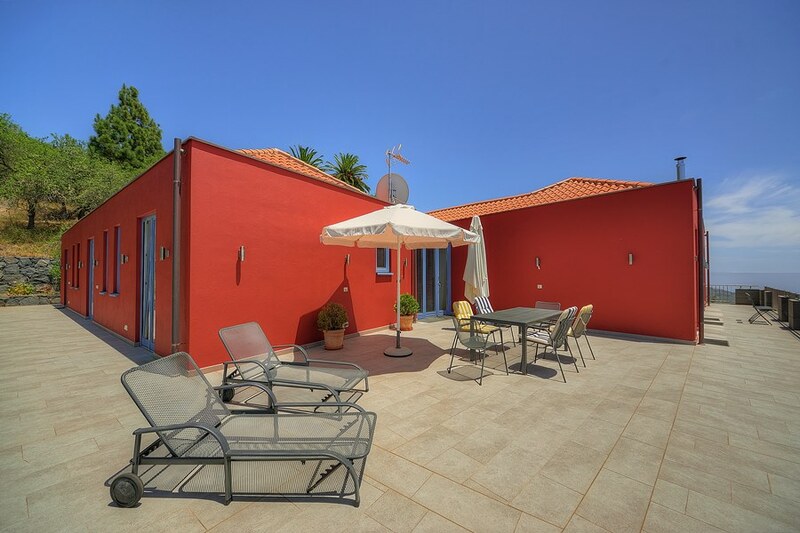 Children up to 11 years free of charge, adolescents 12-16 years 10 € per night. 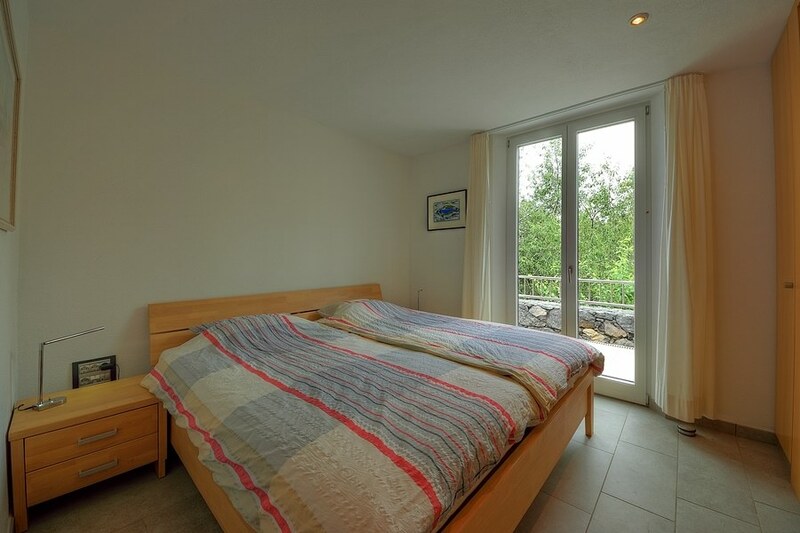 They are guests and stay for free when accompanied by two paying adults! 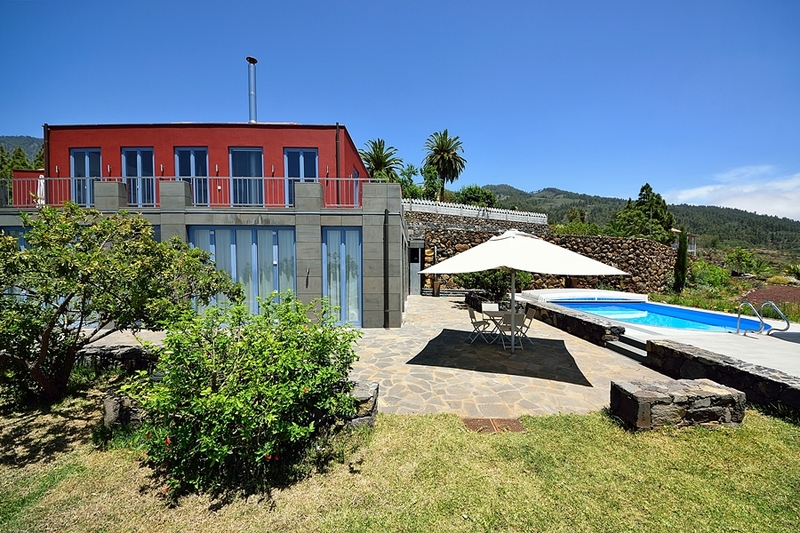 Upon arrival a deposit of € 200, – asked which, if there is no damage, is refundable upon departure!